Union Velo Cycling Club Inc is a bicycle club located in the Attleboro area of Bristol County, Massachusetts. Founded in 1988, the club was formed to promote the general interest of cycling and cycling-related social forums. The club’s training rides allow cyclists of all levels to gather for exercise, socialization, and racing. Most rides take place along scenic back-country roads of local area towns. Union Velo schedules rides every weekend throughout the year, as well as during the week. Long more intense rides are scheduled in spring, summer and autumn. All non-members are always welcome to ride with us. During the height of the cycling season, the club’s weekend rides are generally faster, more challenging and travel further. Typical Saturday rides might include a 30-50 mile hilly ride through such towns as Attleboro, Seekonk, Swansea, Dighton and Rehoboth. Sunday rides during the winter and fall include mountain bike rides at local state forest. Some of our favorite trails are found at Gilbert Hill in Foxboro, Wrentham State Forest, and Rocky Woods in Taunton, Freetown State Forest, Vietnam in Milford and Arcadia State Park in Rhode Inland. Please note: while in RI, all riders must wear a orange vest or cap during hunting season or you risk being fined by the Department of Environmental Management. Trails vary in difficulty from narrow single-track to flat, wide rail trails, but all riders of every level are encouraged to come to learn from our more experienced trail riders. Rides are led by experienced ride leaders, as well as experienced sweep riders at the rear of the ride to assist riders who encounter mechanical problems, fatigue or become separated from other riders. 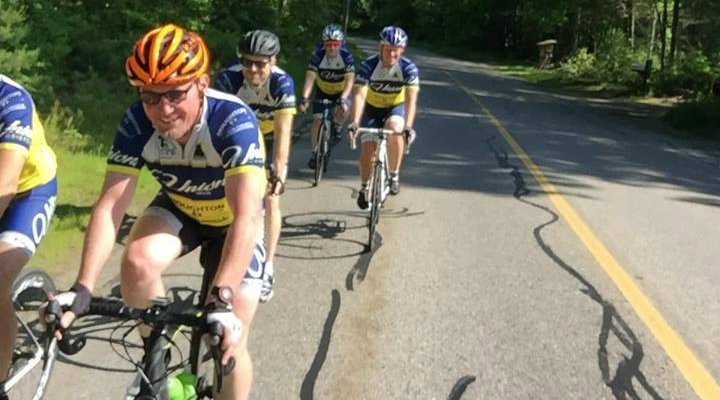 Rides usually meet Saturday Morning at 8 am in the parking lot of Union Cycle and ride to the Showcase Cinema in Seekonk to meet with other riders before heading out toward Swansea. Weekday rides meet in Union Cycle at 6pm. All cyclists are required to wear ANSI-, SNELL- or CPSC-approved helmets during any club ride. The club conducts annual meetings during the off season (October through April) which meet on the second Monday of each month. The meetings are held at the Attleboro Public Library located on North Main Street (Route 152). To keep the cost of membership low, the club depends on volunteer members to plan and run all events. These tasks range from the scheduling and leading of rides to helping organize the Attleboro Bike Race. We encourage all members to volunteer.